…The Safe Third Country agreement between Canada and the U.S. is based on the core principle that people seeking refugee protection must file their claim in the first safe country they arrive in, unless they qualify for one of a few exceptions. The other core tenet is that Canada considers the United States a safe country for refugees. 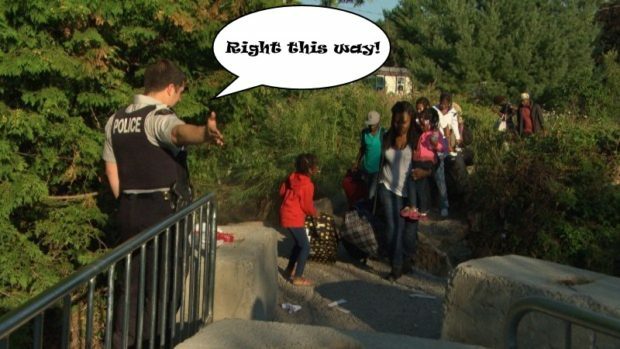 So, if an asylum seeker comes to Canada at an official border crossing from the U.S. and tries to claim refugee protection, they will be refused entry and encouraged to make their claim in the U.S. – the “safe country” from which they just came. A sad day for Liberal Party recruiting.